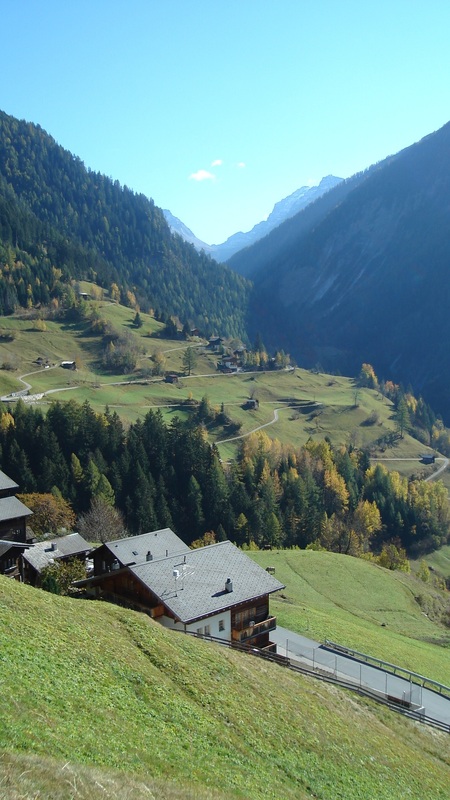 The chalet is on the edge of the Binntal nature reserve in the south of Switserland in Wallis in the High Alps. Lumerli ligt op ‘de Hubel’ voorbij het dorpje Ausserbinn in het Wallis. Ausserbinn ligt tussen de dorpen Ernen en Binn in het Binntal. De Hubel bestaat uit 12 huizen en een stal. Eén chalet is permanent bewoond. So called ‘Magerwiesen’ are the heart of the valley vegetation. These ‘Magerwiesen’ are meadows with an enormous variety of Alpine flowers. The richness of the meadows has been achieved by carrying through extensive mowing policy, low grazing pressure and little watering. In the Binntal policy is aimed at carrying forward this line of maintenance to enhance biodiversity. There’s one farmer in Ausserbin that leases all the land owned by the villagers. In the course of time this farmland has changed into ‘Fettwiesen’. ‘Fettwiesen’ are meadows with an abundance of flowers in springtime. Due to relatively little rainfall in this part of the Wallis, there are extremely drie places in the lower parts of the mountains. In these places you will find Switserlands richest variety of butterflies and insects. In the chalet you can find determination charts for identifying butterflies, insects and plants. 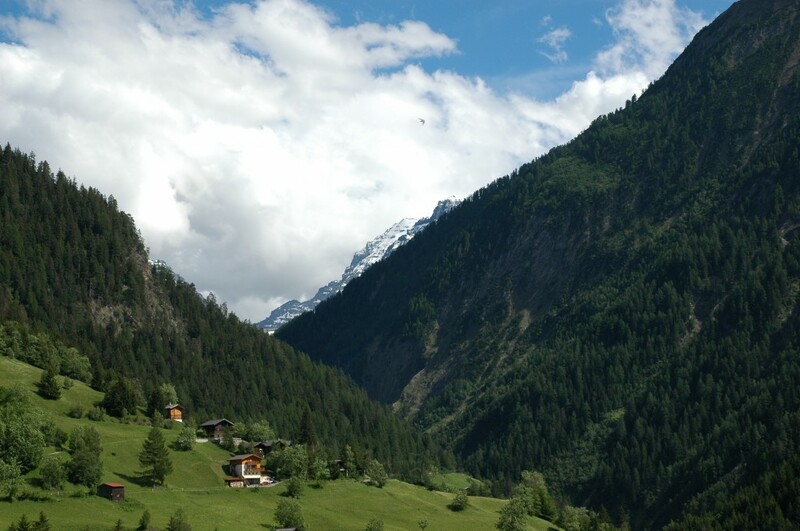 The altitude of Lumerli is 1300 metres. 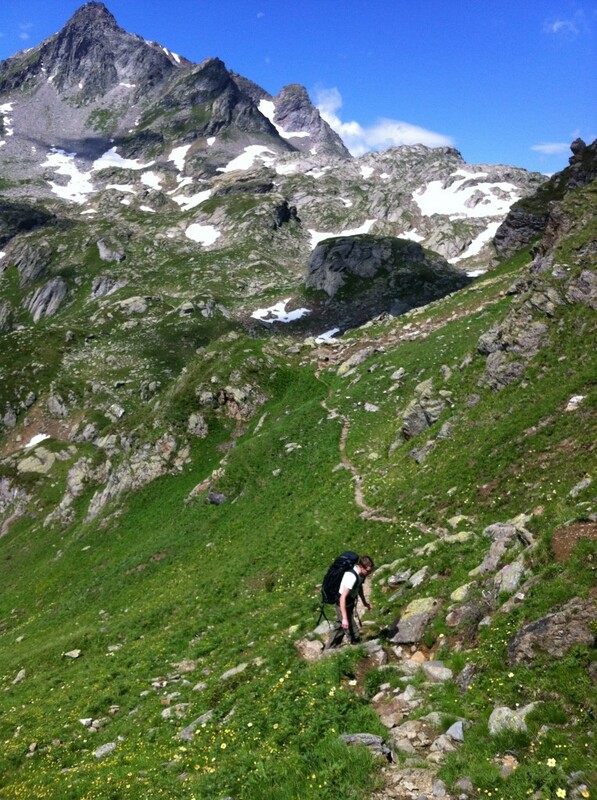 It’s a good long hike from the chalet to the tree line where you can walk about in the high Alpine meadows. Orchids, gentians, arnica and many more bulb flowers are there for you to admire. Nearby Lumerli you can find an observatory. It was built by the university of Utrecht because Switserland has so many clear skies to offer. Due to competition of the observatory in Chili, the Swiss one has unfortunately gradually been cut back. Starting in 2006 a group of volunteers is trying to bring the observatory back to life. This summer they will be organising a few possibilities for you to have a look inside the observatory. You can ask for information about opening hours at the local tourist office or at the observatory. Cycling is a popular activity in this area. You can rent mountainbikes in Ernen. At the tourist office they have roadmaps for cyclists. Cyclists up for a big challenge can try to crest the three passes (Nufenen-, Grimsel- and Furkapass). 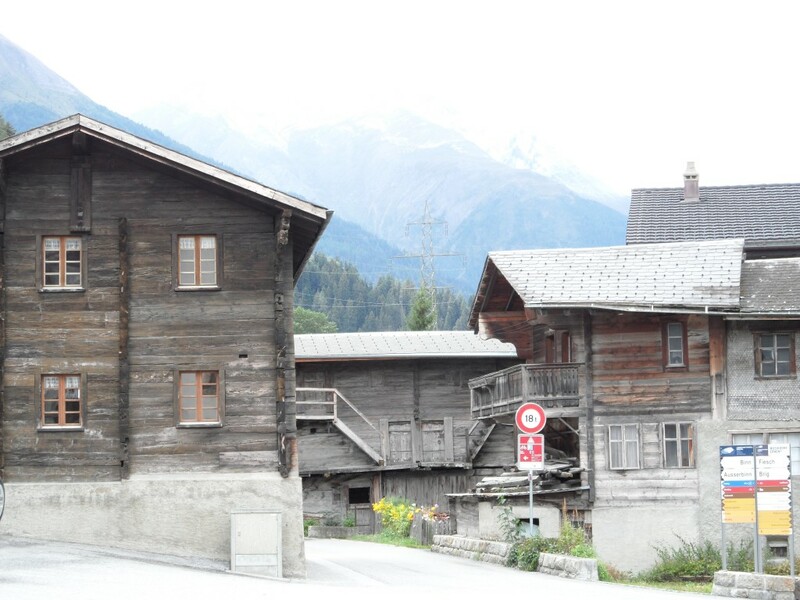 Ernen, also known as ‘Music village’, has become famous for its music events: piano masterclasses, chamber music, organ recitals and the Classic Music Festival. When our family arrived at the chalet in 1978 we made yearly visits to concerts by professor György Sebök (Bach on the piano and delightfully romantic). He organised the festival and every year musicians from many different countries came to perform and visit masterclasses. Especially the programme for modern music is very promising each year. Many musicians from the Rotterdam academy of music find their way to Ernen. In recent years the organisation has started to focus its attention on chambermusic and choirmusic – nowadays often performed on period instruments.